♥ Material: Made of Environment-friendly alloy. No harm for your body. ♥ Suitable for holiday, ball, party, Valentine's Day, Christmas' Day, Mother's Day, anniversary, prom, graduation, birthday or any special occasions. 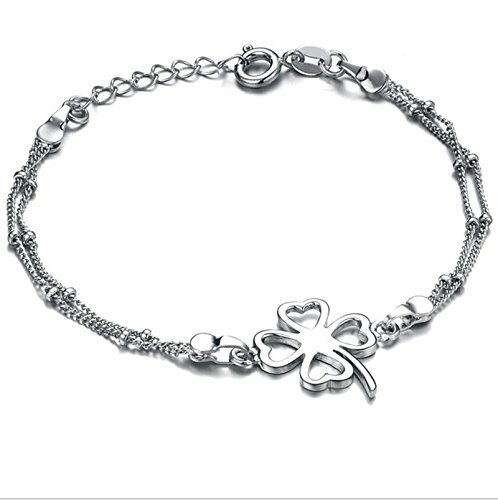 Wearing this anklet matching with suitable apparel for different occasion makes you look more charming and attractive. ♥ Perfect gift for yourself, for lover, girlfriend, wife, mother, couple, Valentine or just a friend ,etc. This item comes with a Gift Bag. It's an excellent gift for anniversaries, graduations, birthdays, or just as a surprise to someone you care. It will expresses your love to them. ♥ Any questions please post in "Q&As", you will get help from us and other customers who bought this item; 30 Days Money Back Guarantee.